The most well-documented road-building program in the world may in fact be the construction of the U.S. interstate highway system. However, the most dramatic project may have well been the construction of the Alaska Highway during World War II. 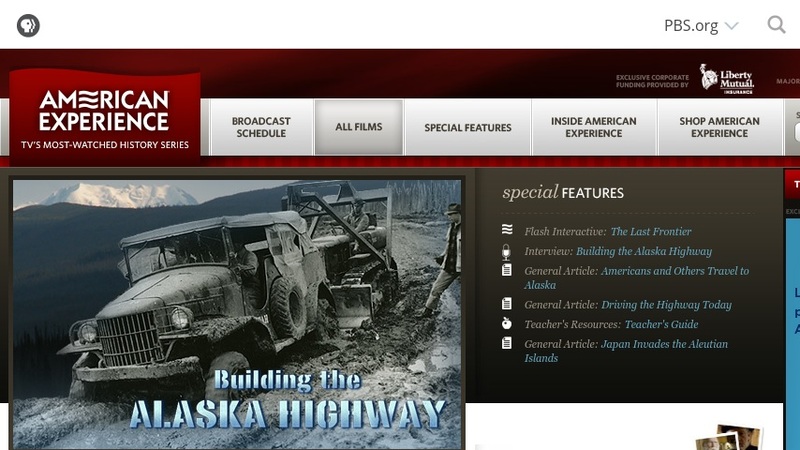 As part of the highly celebrated Public Broadcasting System series, "American Experience", this site complements the recent edition of this program that examined this 1,500-mile road. Construction of the road commenced in May 1942, largely because of the very real possibility that Japan might invade Alaska. The highway took eight months to complete, and along the way the soldiers assigned to this project encountered substantial mountain peaks, snow, and primeval forests. After reading a brief synopsis of the film, visitors will want to take a look at the site's special features, which include an online poll, a fun section titled "How to Build a Road", and a virtual "road trip" along the route of the highway. The site is rounded out by a timeline and some bonus interview transcripts from various persons who participated in the construction of the Alaskan Highway.